A 12 cd box set covering Bobby's UA career from 1968 to 1976. The set is a fantastic collection of Bobby at his best, especially on his own compositions, and makes an excellent companion to the "Poets" 3 cd box set. The artwork is minimalist, in a pea green box with gold lettering which hardly sells the package. Liner notes are pretty sparse, letting the music speak for itself. But the music more than makes up for the packaging. It would be great if some enterprising company would put together a full box set career retrospective. 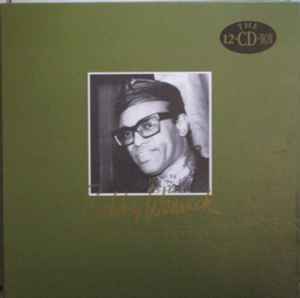 all credited to Bobby Womack & Peace. 5 jazzy instrumentals by J.J. Johnson are missing.